Winner of Draft to Dream 2016 in the YA category. Nyx Estrella is a princess from Gexalatia, a world on the other side of a portal. Unfortunately, she has no idea. Sent to Lucky, Texas, when she was a baby to protect her from the evil King Paraximus, her biggest concerns are grades and seeing her friends. She has no idea that she possesses magical abilities and that her reality is about to become really strange. Jet Lamia is a war prisoner, sent from Gexalatia by the queen, Liana Estrella, to bring Nyx back home to the kingdom of Ymber. The portal only opens on the winter solstice, so Jet finds himself trapped on Earth, trying to blend in. Fortunately, he has help in the form of the queen’s chosen assistant, Seth Alvar. But playing well with others has never been one of Jet’s talents. I read this book as part of the Indie Eden Book Club run by author Jessica Scott. 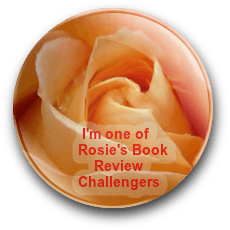 If you’re an Indie Author, check out the Facebook page – indie books are all they review and it’s such fun to have online discussions about what we’ve read. Return to Royalty is an exciting blend of high fantasy, urban fantasy, action, thrills, and a touch of romance and humor – something for everyone! Intriguing and skilled world-building is gradually revealed without giving the reader an info dump, although the second book looks to include more details about Gexalatia. The author has created three-dimensional characters who I sometimes wanted to strangle – but that just adds to their complexity. The relationship between Jet and Nyx ranges from mutual dislike bordering on hatred at times, to the beginnings of, if not exactly friendship, at least a truce. So refreshing not to have an ‘insta-love’ relationship. 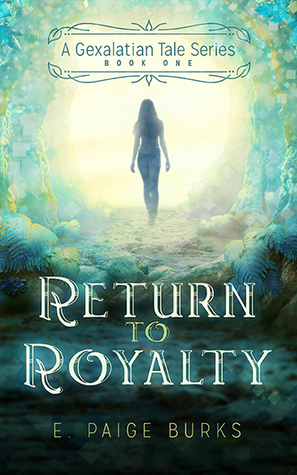 Return to Royalty is well-paced and compelling – I read it in two days – and would appeal to fantasy fans who enjoy magical worlds and a hint of romance. It sounds really good. And thanks for sharing the FB group. You’re welcome – contact Jessica and get your books on the list, Staci. She posted again that she was looking for more authors. 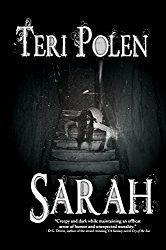 A nice review of this book, Teri. My son likes this genre of book so I am keeping a list for him. Just a heads up, this one is New Adult instead of YA – I’d say suitable for older teens. A nice review. Beautiful cover too. I love the use turquoise and blues. Thanks, Mae! I agree about the cover – very nice. Thanks for the review! I’m so glad you enjoyed it!! You’re welcome, Paige – thanks for the reblog! Check out the book, Return to Royalty, by E. Paige Burks, as featured on the Books and Such blog.